Hay! Have you herd the news?!? Come check out what Anam Cara is all about and see our new permanent location! 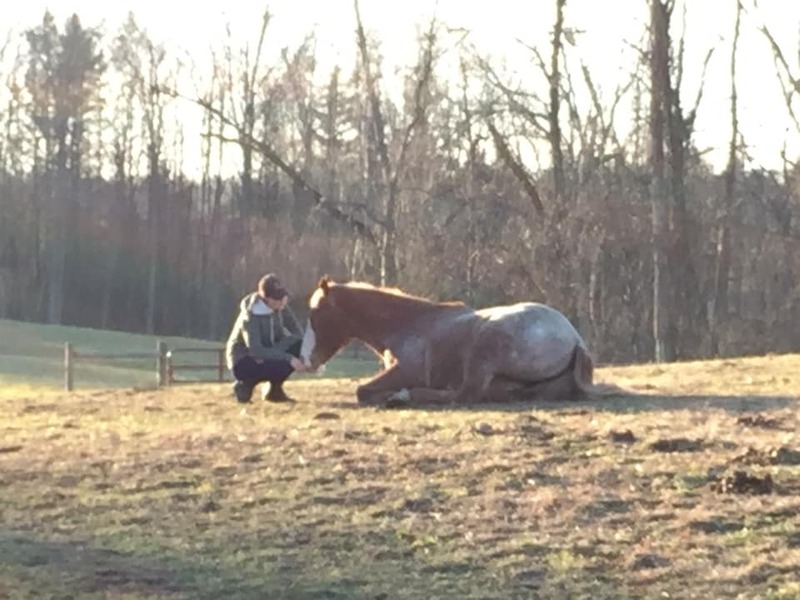 Come experience for yourself the transformative power of the presence of horses! This event is free! We will be sharing the EAGALA model and what it and Anam Cara offers you and the community. You can RSVP with at 219-207-7222. This interactive presentation is best suited for ages 16 and older. Bring water, a chair, and come dressed for the weather and the barn (close toed shoes). 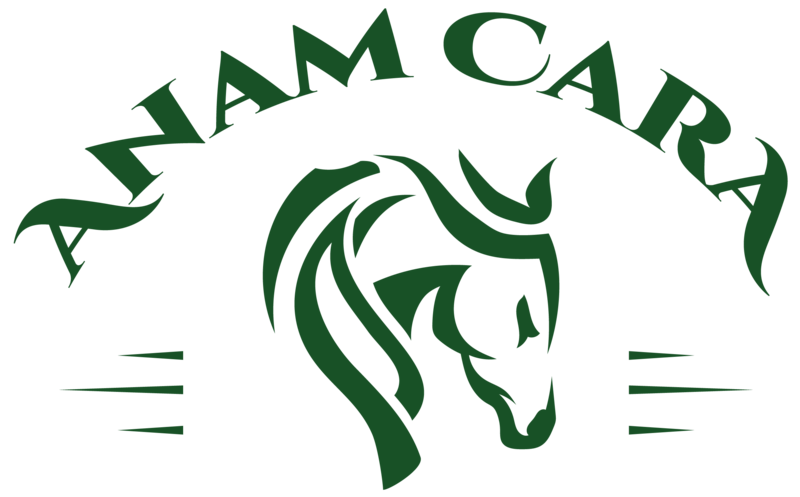 Anam Cara Stables is a non-profit organization that raises funds to provide equine therapy to those surviving trauma, grief, loss or addiction. This is a free event. 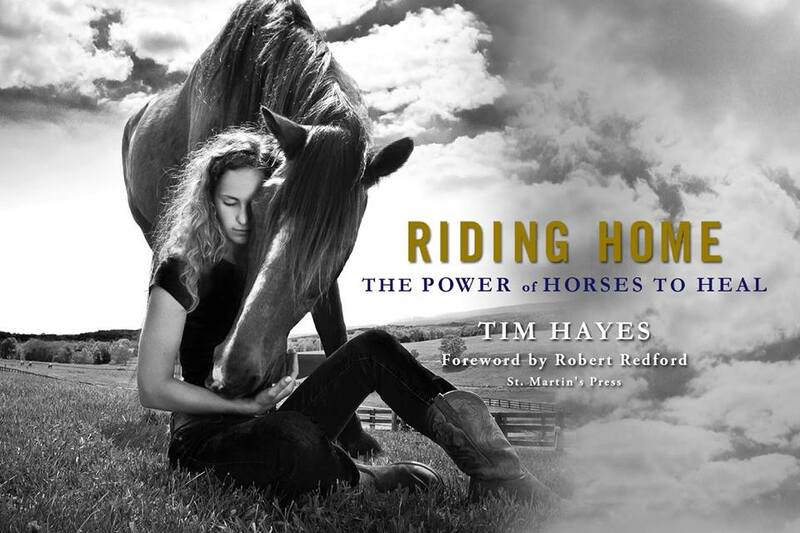 We will be reading and be discussing the book Riding Home: The Power of Horses to Heal by Tim Hayes. We will also have a horse demonstration time as well. Join us! 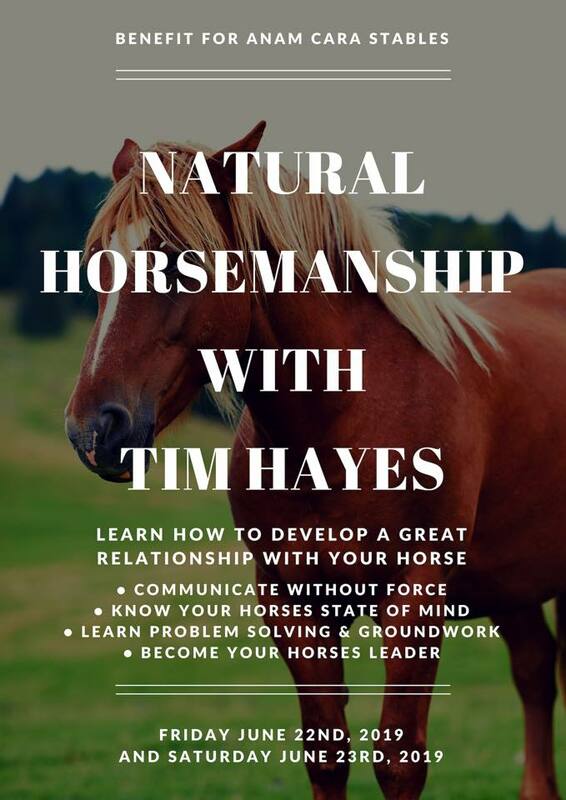 For our two day Natural Horsemanship Clinic with Tim Hayes! English & Western, and Beginners to Advanced, all disciplines welcome! The Clinic takes place in an indoor area so the clinic will take place rain or shine! We are so thrilled that Tim has agreed to support us as a fundraiser for Anam Cara! We will be using the proceeds to make our horses comfortable at our new property by building shelters for their new pasture. Gentleness vs. Firmness:Which one, how much and when? AUDITING FEE: $35 for two days, $25 for one day per person. Anam Cara Stables, Inc. is offering an exciting summer program for children ages 6-12: Horse-Powered Reading. The program partners horses with students to experience reading with their entire minds and bodies. Using metaphors for reading skills paired with horse-powered obstacles, students build motivation to read and grow their self-confidence in reading abilities. The ultimate goal of the program is to help students at all levels become more intrinsically motivated learners. The program was developed by Michele Pickel, PhD and utilizes internationally recognized EAGALA Model Equine Assisted Learning (EAL.) Students are supervised by an EAGALA certified team including an Equine Specialist. There is no riding involved. WSBT visited Anam Cara to discuss its horse therapy programs. Watch the video and Learn More. 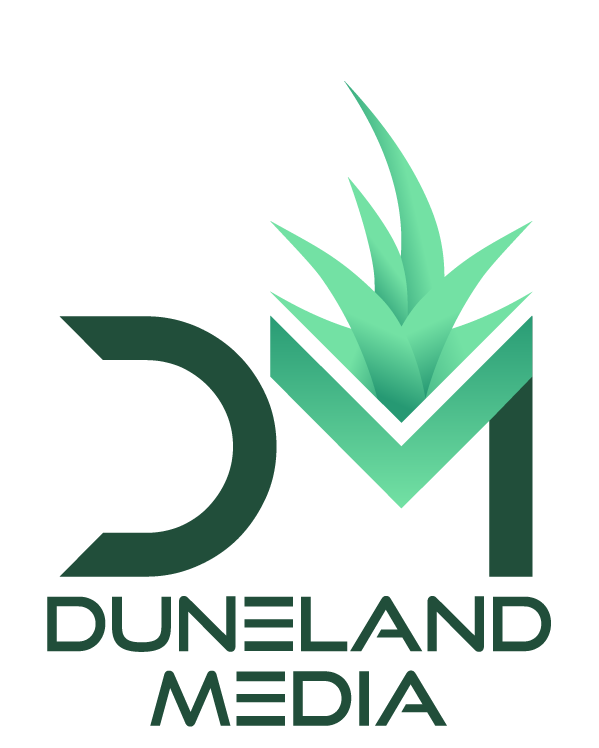 Read coverage of Anam Cara programs at What’s New LaPorte? Anam Cara Stables is offering a free “Introduction to Eagala” session, open to all ages, June 24, 10am until noon. RSVP to the Anam Cara Stables facebook page, or send a message to anamcarastables@gmail.com for details. Co-Founder and Equine Specialist, Sandy Cogswell, attended the Healthcare Foundation of La Porte’s (HFL) IU Nonprofit Leadership Academy funded through their Capacity Building Grants. Read more here.